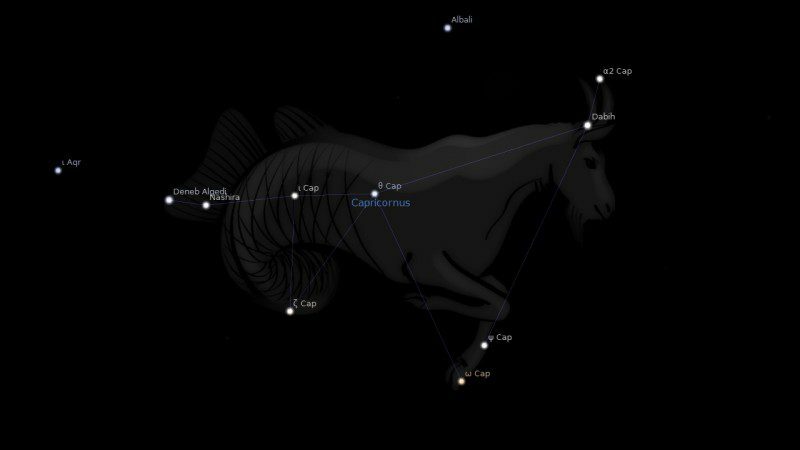 Fixed star Dabih, Beta Capricorni, is a 3.1 magnitude double star, orange-yellow and sky blue, situated in the left eye of the Sea Goat, Capricornus Constellation. The traditional name Dabih comes from the Arabic term الذابح (al-dhābiḥ) which means the butcher. What we should expect from Giedi and Dabih strong in a horoscope is that the person having them there will show great patience and trust, Faith, in a crisis, yet with a decisiveness that will take the action needed, not fudge the issue. Of course that means that such people are likely to meet with crises in plenty and, if the aspects be harsh ones, more crises than anyone would wish. This causes extreme emotional problems. These natives have an extreme emotional chemistry. When this position is poorly aspected by the transiting Sun, these persons will become unstable mentally for two or three days as the aspect becomes exact. It is very difficult to live with a person with this degree, as the mental problems become unbearable at times. There is a restricted energy affecting the balance of their emotional makeup and nervous system. They do become unbalanced and are literally insane for short periods of time. Often they remain secluded as they do not relate very well with the public. This point is affected adversely with the generation born with Pluto in the sign Leo, an opposition aspect. The result would be an extreme emotional obsession depending on the circumstances. Revenge, hate, or just self-destructiveness is often the result with this Pluto opposition energy. The individual simply tears down one cycle of destruction only to begin another in an entirely different direction. They generally begin the destruction within themselves first in order that they can feel the affect. They then spread this emotional destructiveness to those they can bring into their cycle – people they are able to victimize easily. They involve themselves in sadistic and masochistic games that ultimately results in more resentment so that the emotionally destructive cycle continues throughout the lifetime. Even though there is no opposition affect by Pluto in the chart, the individual with this position is in a totally unbalanced emotional state. 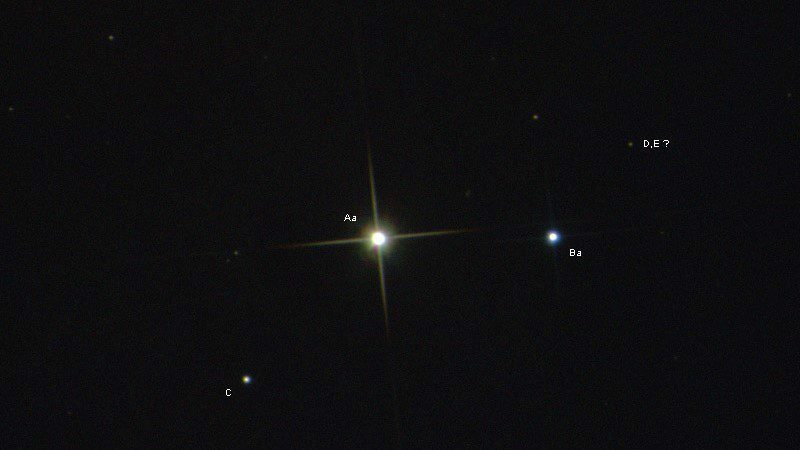 There is not another position that is more difficult emotionally than this fixed star degree. These natives choose this for their incarnation for the reason that there were many imbalances from previous lives that had not been worked out. The energy allows them to be irresponsible in their emotional reactions as they do not care how others are affected by their emotional outbursts. Those involves with these persons consider them irrational and insane and accept them as they are. 1. Fixed Stars and Constellations in Astrology, Vivian E. Robson, 1923, p.157. 2. Fixed Stars and Judicial Astrology, George Noonan, 1990, p.51. 3. The Living Stars, Dr. Eric Morse, 1988, p.101. 4. The Fixed Star Health and Behavior Imbalance, Ted George and Barbara Parker, 1985, p.141.